Though they are unique and sights to behold, there is more to the Loire Valley than just endless chateaux and vineyards. Whether tourists fancy riding a mechanical elephant around Nantes or maybe prefer to race huskies through the countryside, the Loire Valley has a packed itinerary awaiting including these 10 experiences and activities. Ever fancied taking a selfie with a T-Rex or pedaling through the treetops in a walnut shell? These are just two of the bizarre activities offered at Terra Botanica near Angers. Visitors to this one-of-a-kind amusement park are taken on a journey from giant greenhouses and marshland to oriental gardens and riverside meadows. Despite having only opened in April 2017, the impressive flora and fauna have blended in nicely. With several rides and games along the way, younger children will love it as well. Skip the queues and crowds at the Valley’s popular chateaux and get a bird’s-eye view of the area. Those seeking peace and solitude may wish to opt for a glider or hot-air balloon, but for something a bit different why not try a bi-plane? Yes, jump in that flight suit and leather jacket and zoom over Villandry’s world-famous gardens and Langeais’ medieval castle. A pack of Siberian huskies seem to be seriously lost, but this family-day activity has riders trek through the glorious Loire countryside with the wolf-like canine creatures and ends with a taster run with the musher (dogsled racer). 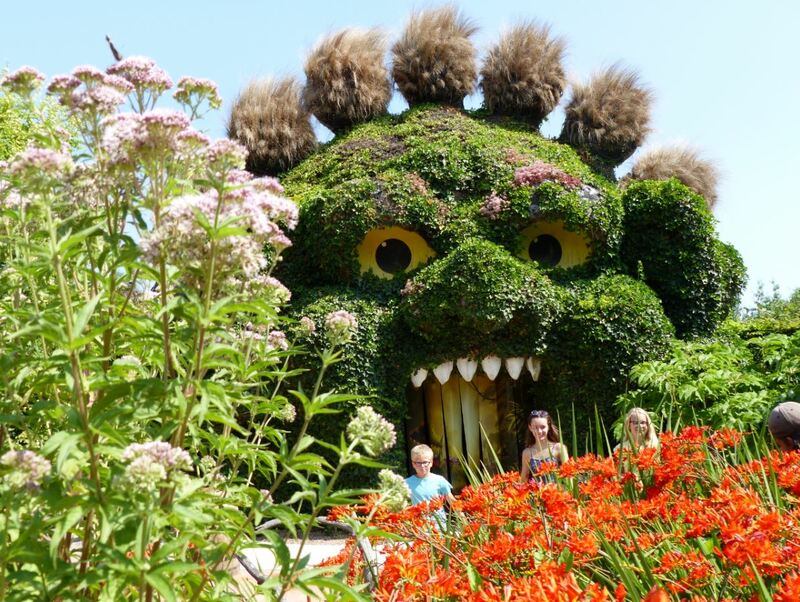 Children will love this unusual Nantes’ attraction. Located on the Île de Nantes, ride a 12-metre (40-feet) tall mechanical elephant around town and take in the city’s sights and attractions such as the old shipyards and Carrousel des Mondes Marins. It even squirts water at bystanders. When thinking about sleeping in a cave, crystal chandeliers and flat screen televisions probably don’t spring to mind. Yet the Loire has put its troglodyte past to good use by converting cave hotels, rocky restaurants, and underground cafes as well as entire troglodytic towns and villages for visitors to explore. 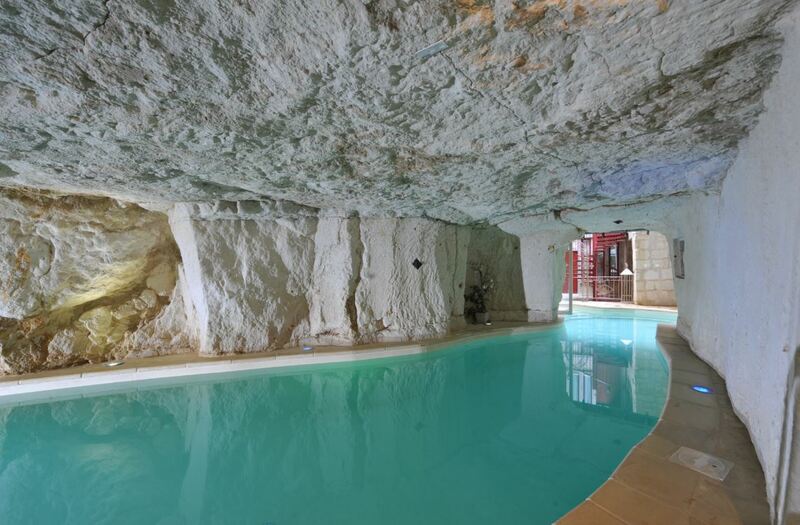 Sitting in between Chinon and Saumur, Demeure de la Vignole has a range of cavernous rooms and even a swimming pool to enjoy. Don’t have time to visit all of the Loire’s best chateaux? See them all in one visit—sort of. The mini castle park has 41 replicas of the valley’s finest chateaux, all painstakingly reproduced on a scale of 1/25th of their actual size. Mini visitors will feel right at home as they test drive their own mini Bugatti or mechanical horse. Many of the valley’s most important towns and most prestigious chateaux line the banks of the Loire. To see this beautiful area from a different angle, book a kayak or canoe expedition. Various places hire them out by the hour but longer excursions are also available. Many of the Loire Valley’s chateaux are built of gleaming white limestone that was mined from the surrounding quarries. Some of the stone used to build iconic chateaux like Chambord and Chenonceau came from a place called Bourré. Hundreds of years of mining in the area left desolate caves and underground tunnels. Locals soon realised that the damp, dark environment was perfect for keeping wine…and growing mushrooms. La Cave des Roches is famous for producing rare mushroom varieties such the distinctly earthy blue foot mushroom. Allegedly, this quirky underground farm grows almost half of the world’s blue foot mushrooms—not bad for an abandoned cave. Chartres’ medieval streets and half-timbred buildings are the stuff picture-postcards are made of, yet it is the cathedral which draws in the crowds. Home to the largest collection of preserved medieval stained-glass windows in the world, some of the exquisite windows date back to the early 13th century. If the cathedral inspires, head to the local museum and active workshop to see how it is made. Château du Clos Lucé is a beautiful château located in the city of Amboise. King Francis I and Louise de Savoie invited Leonardo da Vinci’s to the chateaux—he soon made it his home and spent the last three years of his life there, passing away in 1519. The chateau is rather modest by Loire standards but attracts art lovers from around the world.